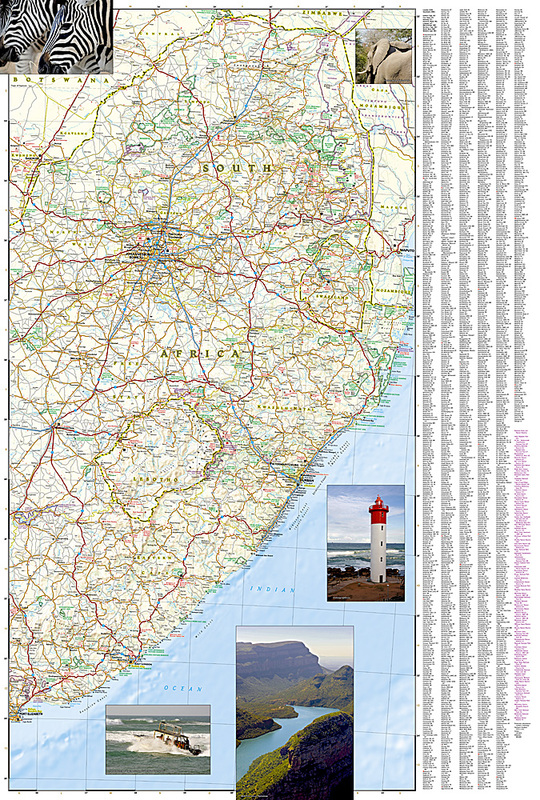 South Africa Adventure Map  - $10.95 : Trail Explorers Outpost, Keeping the Adventure Alive! 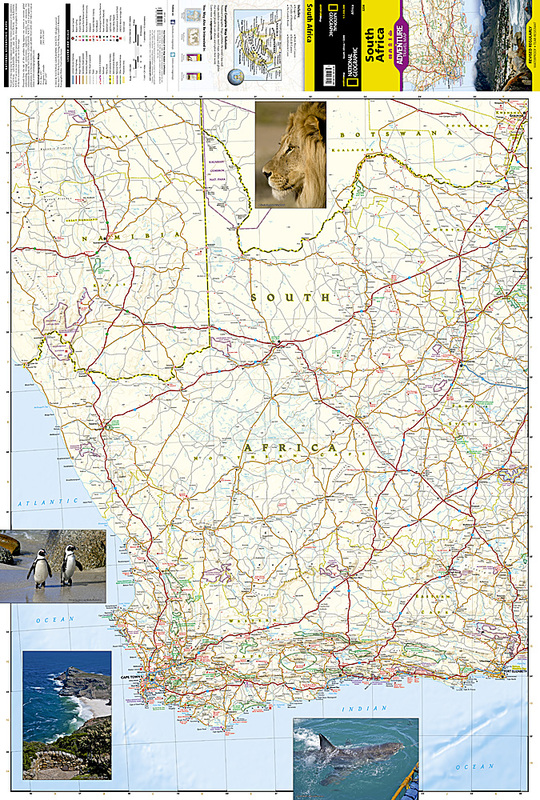 National Geographic’s South Africa Adventure Map provides global travelers with the perfect combination of detail and perspective in a highly functional travel tool. Hundreds of points of interest that highlight the diverse, unique, and exotic destinations within the country such as national parks and reserves, sanctuaries, World Heritage sites, archeological sites, and museums are noted. Along the coast between Cape Town (the legislative capital) and Port Elizabeth, areas for whale watching and shark-cage diving are noted. Dozens of beaches are noted from the Sunshine Coast to the North Coast for travelers wishing to soak up some sun.